Cyclists that are looking for a simple and intuitive way to navigate safely and securely whilst riding a bike around urban areas may be interested in a new bicycle GPS navigation system that has been created by Mark Jenner and Tom Putnam based in London. 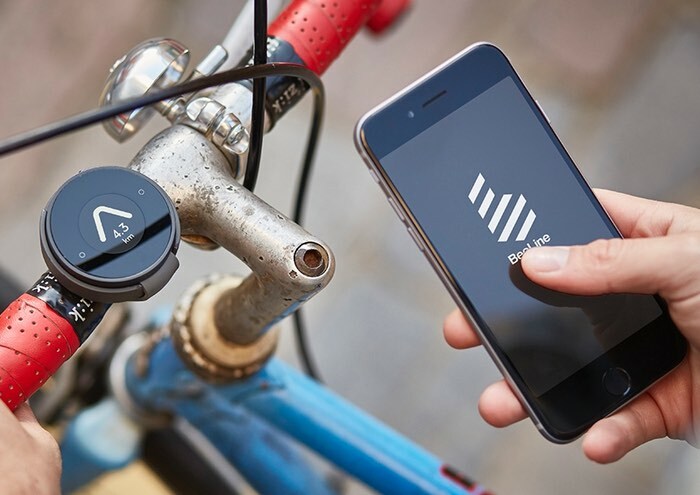 The new bicycle GPS navigation system has been aptly named BeeLine and uses a companion application on your smartphone to put you back in control of your journey. The development team behind the pocket -sized device explain more in the Kickstarter promotional video below. As they explain more about the inspiration, functionality and why they require £60,000 in pledges to make the jump to manufacture. BeeLine has been designed in collaboration with Map Project Office, one of London’s top industrial design agencies. As well as thinking hard about the electronics and the software, we’ve spent a huge amount of time on the way BeeLine looks and feels. We hope you love it as much as we do! For more information on the new BeeLine jump over to the Kickstarter website for details and to make a pledge from just £30, $46 or €42.